Experimentation is healthy my bo. I am excited to see what’s to come! Cool! Will monkeys be involved? Sounds like it’s going to be really interesting, looking forward to seeing what you come up with! 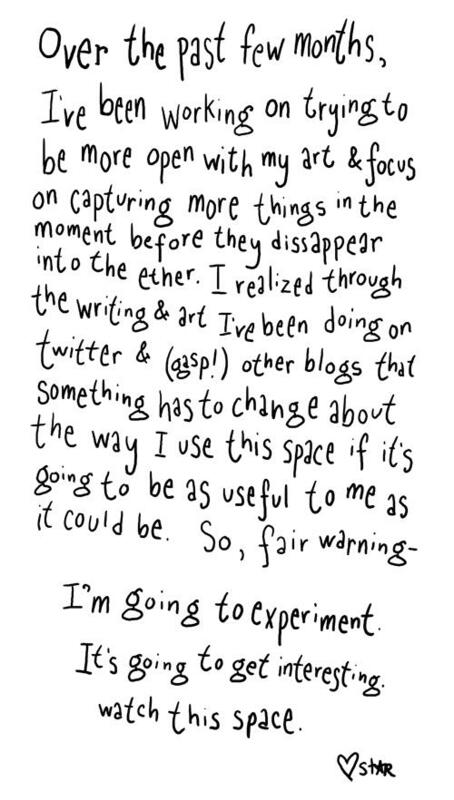 I heartily support and encourage experimentation and sharing. Healthyhealthyhealthy, like your beautiful wife has said! Bring it on!